In 1866 the Danville, Urbana, Bloomington and Pekin Railroad Company (DUBP) was incorporated and plans quickly surfaced to build a railroad from Danville to Pekin, running through Urbana. Clark R. Griggs, president of DUBP, along with W.C. Barrett, a wealthy merchant from Champaign, started construction of the railroad on October 14, 1867. When the railroad was completed in 1869, DUBP merged with another railroad to form the Indianapolis, Bloomington, and Western Railway Company (IB&W). 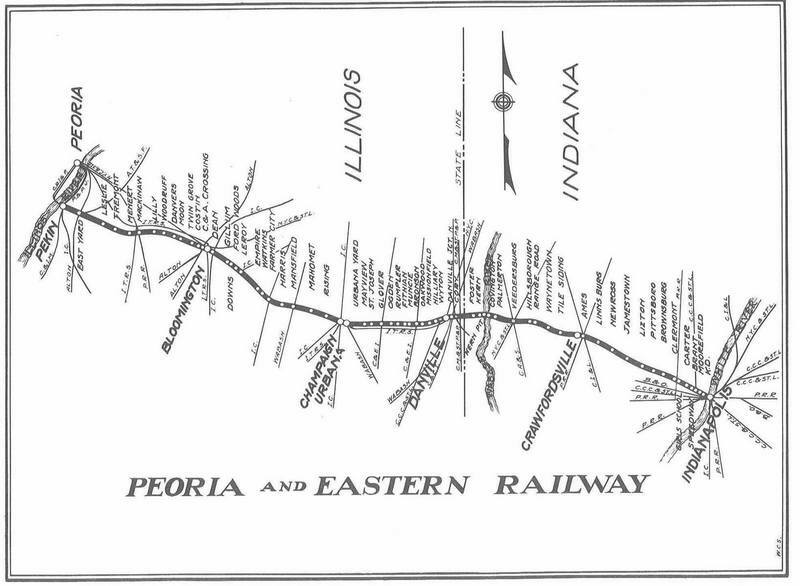 The IB&W was then renamed the Peoria and Eastern Railroad (P&E). By completion it had cost just over one million dollars to create the line, build track-side equipment needed such as water tanks, and create stations that would serve as hubs for small towns (Morgan, 1969). The original depot in Urbana was assigned to the Griggs House Hotel that was built in 1870 and would serve as the “competitive counterpart to the Doane House” in Champaign until 1917 (Morgan, 1969, p. 53). The P&E ran steam engines with cars that would carry goods and passengers to and from Urbana. However, by 1879 the P&E railroad was not pulling in expected profits and was subsequently sold to a succession of buyers until it was leased to the Cleveland, Cincinnati, Chicago, and St. Louis (Big Four) Railroad in 1890. The Big Four name remained for a few decades, despite being purchased by the New York Central Railroad in 1910. (Changon, 2007). Although the Big Four also stopped at a station in Champaign, the opening of this line provided the City of Urbana its long desired direct-access to a steam railway. The city no longer had to rely on shipping goods from the Illinois Central depot in Champaign; it now had a source of its own. This strengthened tensions between the two cities, although Urbana still had no direct access to Chicago. Urbana tried to acquire such access with the Kankakee and Urbana Traction line in 1909, but the line failed to reach Kankakee and connect with a line that ran to Chicago (ExploreCU 2013). 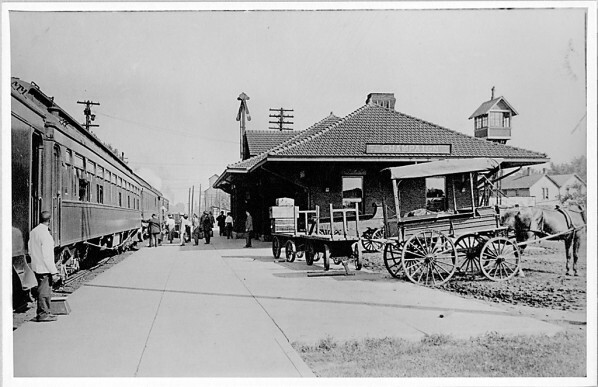 The Big Four not only provided Urbana with freight, but also helped to bolster the economy by providing nearly 400 jobs during the peak of the railroad industry. 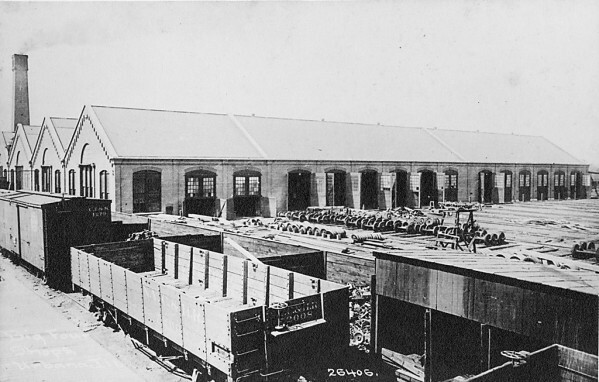 Close to the station was a switching yard and roundhouse, called ‘the shops’, where railroad workers could service up to fifteen engines at once; along with the roundhouse were machine shops and a massive power plant that all employed workers. From newspaper articles and periodicals locally, the railroad was still referred to as the Big Four as it connected with the rest of the Big Four lines, however at some point during the 1920s the official name had reverted back to the Peoria & Eastern. The Big Four helped to create and fortify towns, such as St. Joseph and Ogden. These small towns would later be serviced by William B. McKinley’s electric interurban railroad. The last Big Four passenger train stopped at the Big Four Depot in Urbana in 1957 (“Big Four Depot” Pastcast”). The depot then sat empty until it was converted into a theater in the late 1960s (“About the Station Theatre”). The Celebration Company moved in to the building in 1972 and renamed it Station Theater; it now produces plays and productions. In 1968 the New York Central Railroad, who still owned the Peoria & Eastern, was consolidated with the Pennsylvania Railroad to become Penn Central. Under financial duress in 1976, Congress intervened and created the Consolidated Rail Corporation (Conrail) (Changon, 2007). It is uncertain when the rail line officially stopped shipping freight to Urbana from the east, but today there are no tracks east of Urbana until about six miles west of Danville, where tracks begin again. The western portion of the line begins at the eastern-most edge of Urbana and continues as it originally did to Peoria. Today, this line is used exclusively for local freight. Brehm, Kara, “Peoria & Eastern Railroad, 1866,” ExploreCU, accessed April 18, 2019, https://explorecu.org/items/show/202. Celebration Company. Welcome to the Station Theatre. About The Station Theatre. Retrieved March 14, 2013, from http://stationtheatre.com/us.htm Champaign-Urbana MTD. 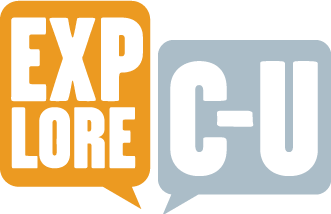 (2013). Champaign-Urbana Mass Transit District | MTD. History: Railroads | MTD. Retrieved March 14, 2013, from http://www.cumtd.com/about-us/history/railroads Changon, S.A. (2007). The History of Railroads in Champaign County. Mahomet: Changnon Rails. Hawes, G.W. (1858). Illinois State Gazetteer and Business Directory for 1858 and 1859. Chicago: George W. Hawes. Retrieved from http://archive.org/details/illinoisstategaz00hawe Ira, M. (2011, 4). City of Urbana. Big Four Depot | City of Urbana. Retrieved March 14, 2013, from http://urbanaillinois.us/visitors/see-historic-urbana/podcast-tour-6 Morgan, R.L. (1969). Cornsilk and Chaff of Champaign County. Sesquicentennial Committee of Champaign County, Ill.